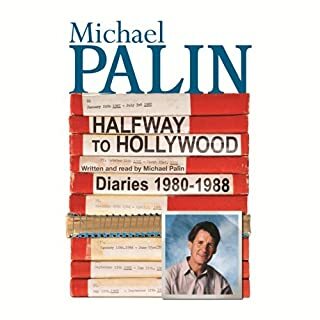 In this first volume of his diaries, Michael Palin tells for the first time how Monty Python emerged and triumphed. 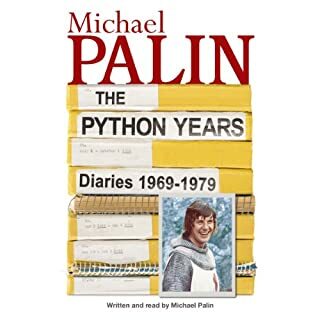 Perceptive and funny, it chronicles not only his struggle to find a niche in the world of television comedy, but also the extraordinary goings on of the many powerful personalities who coalesced to form the Python team. 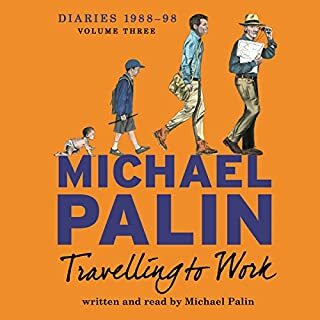 The second volume of Michael Palin's diaries covers the 1980s, a decade in which the ties that bound the Pythons loosened as they forged their separate careers. After a live performance at the Hollywood Bowl, they made their last performance together in 1983 in the hugely successful Monty Python's Meaning of Life. 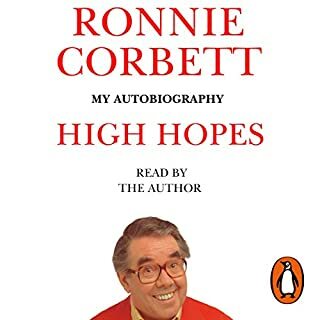 This is my autobiography, the exciting story of how I, Ronald Corbett, the son of an Edinburgh baker, became convinced that I had to seek my fortune and become an actor, of how I pursued that goal, found fame on television as one of The Two Ronnies, and managed to meet a fabulous cast of extraordinary people along the way.First I'll take you back to my schooldays and reveal the technique I developed for estimating the height of a girl before daring to ask her to dance. 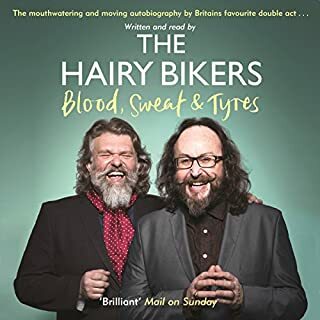 Si King and Dave Myers, aka The Hairy Bikers, have lived life to the fullest. They had fantastically rich northern childhoods laced with food and fun, but of course with some tragedy too. But we also get to know the early Bikers - we find out how their friendship developed and all of the mad capers and round-the-world trips they went on. Perfect for their fans, heavily seasoned with warmth, food, love, bikes and bro-mance, the Hairies never fail to entertain. 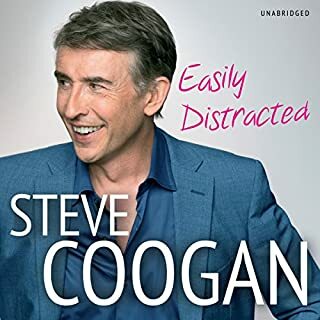 Steve Coogan was born and raised in Manchester in the 1960s, the fourth of six children. From an early age, he entertained his family with impressions and was often told he should "be on the telly". 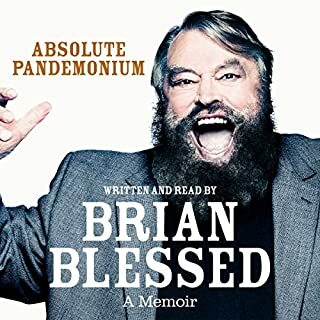 Failing to get into any of the London-based drama schools, he accepted a place at Manchester Polytechnic School of Theatre and before graduating had been given his first break as a voice artist on the satirical puppet show Spitting Image. The late '80s and early '90s saw Coogan developing characters. Candid and brilliantly funny, this is the story of how a tall, shy youth from Weston-super-Mare went on to become a self-confessed legend. En route, John Cleese describes his nerve-racking first public appearance, at St Peter's Preparatory School at the age of eight and five-sixths; his endlessly peripatetic homelife, with parents who seemed incapable of staying in any house for longer than six months; his first experiences in the world of work, as a teacher who knew nothing about the subjects he was expected to teach; his hamster-owning days at Cambridge; and his first encounter with the man who would be his writing partner for over two decades, Graham Chapman. 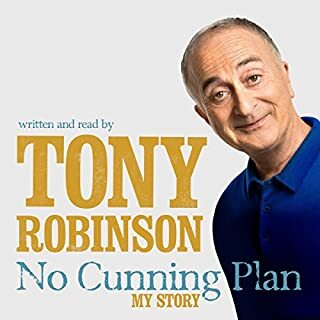 And so on to his dizzying ascent via scriptwriting for Peter Sellers, David Frost, Marty Feldman and others to the heights of Monty Python. 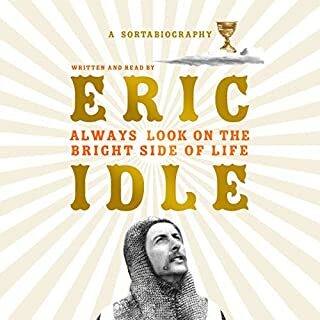 Punctuated from time to time with John Cleese's thoughts on topics as diverse as the nature of comedy, the relative merits of cricket and waterskiing and the importance of knowing the dates of all the kings and queens of England, this is a masterly performance by a former schoolmaster. This is all you'd expect from John Cleese - not just wildly funny, but sharp and shrewd with insightful analysis of family relationships and the nature of comedy and comedy writing. 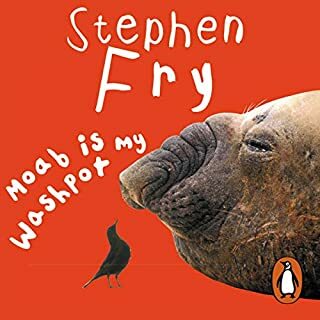 He makes his childhood as the only child of ill-sorted parents in various parts of the west country both funny and gently tragic with his mother's titanic tempers and crippling anxiety, and himself as a lanky wimp. It's a wonderful recreation of those class-conscious times (was he middle class / lower middle class/ lower middle middle class.....?) and his career through prep school and Clifton College is filled with brilliant and eccentric cameos. Cambridge, where he was actually studying Law which he found mind-numbingly boring, was for him the Footlights and the beginning of what has been fifty years of comedy. What makes this download so enjoyable is of course Cleese's exaggerated, wildly zany expression with torrents of consecutive adjectives building to a crescendo, or where he pulls out the craziest analogies and descriptions. (When he is teaching at his old prep school whilst at Cambridge, trying to get a boy to understand that the River Congo is in the Congo and the River Niger is in Nigeria, is like 'transferring the principle of anti-matter to the brain of a hamster'). Much of the comedy in all the shows he was involved in (Fawlty Towers, Monty Python etc) would now be censored, and part of their appeal now is their outrageous incorrectness as well as their anarchic inventiveness. 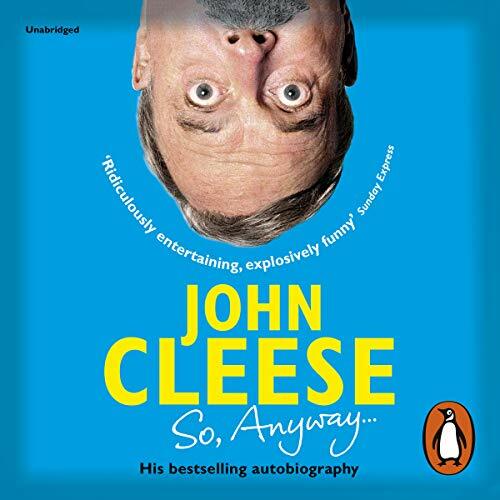 The other winning element is that Cleese himself reads with masses of recreations of conversations with his writing teams, and from sketches from the shows with all his manically energetic voices. Best of all I liked his dissolving into infectious laughter as he reads and on one occasion he actually collapses into that stomach-clutching body wheeze of laughter. SO ANYWAY, download and enjoy it! I delayed reading this due to the astonishingly unkind newspaper reviews. I suspect Cleese's venom for journalists (particularly those unfortunate enough to have found employment with the daily mail) may have coloured their judgment. Nothing Fawlty With This One! John Cleese, possibly one of the most important figures in British comedy. Thirteen hours spent in his company listening to the story of his life from his early memories up towards his time in Python. Plus, as it happens an add-on to discuss the 2014 Monty Python Live Shows. Hearing story after story replayed by the man himself what shines out is his massive affection for comedy and many of the people he worked with. There is a warmth and a depth to what we are told and how we are told it. 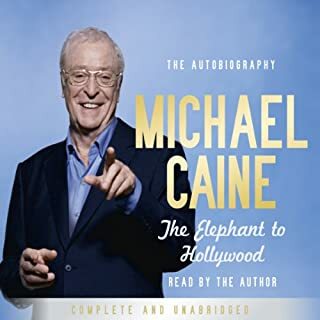 While I don't read many autobiographies it is an obvious area where in some cases the audiobook format is superior to the printed word. The experience is so much more intensely intimate listening to Cleese telling his own story. Hearing him laugh as he recalls particular funny moments is a real joy. 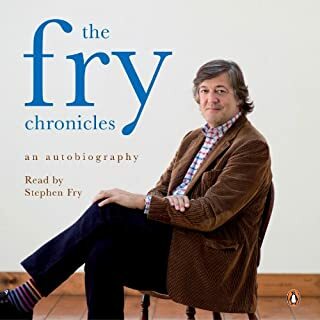 In addition when sketches are discussed in the later chapters this audiobook actually includes the recordings of them. The book intro and "oohtro" feature amusing interjections from another special guest in the form of mini-sketches. After that as John takes up the story it's clear that his voice was not at its best at the start. However, he improves as things go along and while those vocal chords may not be what they once were he becomes a joy to listen to. 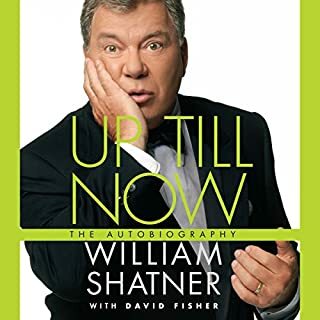 The one word of warning I would give about the book is that it is not a complete autobiography. There is almost nothing about Fawlty Towers and only the later chapters start talking about Monty Python including an afterthought chapter talking of the re-union stage show. There is a lot about Cleese's early life and some fantastic anecdotes covering almost every step of his development into a young man. So, as long as you are aware that the book isn't a complete autobiography and does only lead up to a bit of Python it will not disappoint. There are lots of laugh out loud moments, fantastically funny anecdotes and witty opinions. The dying rabbit story will live with me for some time. If you like John Cleese, you will almost certainly love this book, I just hope there is something coming to carry the story through Fawlty Towers and beyond! It is rare in my experience for me to re-listen to a book. I would make an exception for this one. Initially before the the book started I wondered if it would work if read by the author but only a few minutes of so in, I could see it would work well indeed. I was quite surprised that the book contained a few recordings of some of the sketches. That is something you can do in an audio book and if this book has a paper equivalent then I have no idea how that would occur. It was immensely enjoyable. What surprised me and this is common I think in members of an audience, like me, that we often think much of it is made up on the hoof and there is a certain spontaneity. The truth though is that everything was scripted and John and his colleagues worked hard, not only writing the material but delivering it as well. My favourite piece amongst many was the sketch of the inept train driver delivered by Marty Feldman, a great comic who died far too young. I also took away, as is common feature in biographies, that happenstance played a big part in the coming together of the comic geniuses that gave us Monty Python and its earlier cousins. If you want to listen to a thoroughly illuminating, engaging and comic book then pick this. Thank you so much Mr Cleese. Much better than I had feared! If you could sum up So, Anyway... in three words, what would they be? 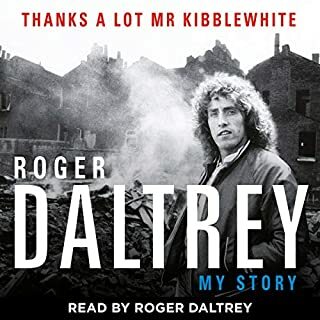 I have to admit, I delayed listening to this audio-book, because i thought I wasn't going to enjoy it. Over the years, I've loved most of John Cleese's work, but I had got the impression that he isn't a very likeable person, so was anxious I might not enjoy it. I needn't have worried. It's extremely entertaining, and Cleese comes across as a likeable man, although you wouldn't want to cross him. I loved the way he regularly breaks into laughter as he reads, and I love the fact that he left these corpses in, rather than do a second take. Perhaps he was in a hurry to finish it! I finished this book very quickly, always a good sign. Lots about him growing up, which was amusing in places, but it ended when I thought it should just be getting going. 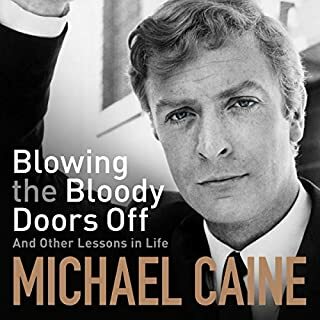 interesting to hear anecdotes about John's early career and experiences at Cambridge however one can't ignore that this book feels like it is light on detail and was perhaps rushed out to cash in on thevuzz around the python renunion in 2014. I did laugh many times though so not a bad experience at all, just left me wanting a bit more. Should be called John Cleese the early years, stops just as it gets going with the start of Monty Python. It starts interesting for the first few chapters. Then gets extremely dull!! Ends up sounding like a bunch of random ramblings. Unfunny for the most part, likes 3 hours were better, nice clips in there but none of the funny stuff. I heard it while driving everyday for about two weeks. priceless... John was my dear friend for these weeks and I really felt it hard to let go when the book finished... It was all wonderful. Thank you John, my dear friend. I really enjoyed the audio book .... I sadly could do with volume 2 as it only covers the first 30 years... I would love to hear about the next 50, there is something about his style and delivery I just love as will all fans of John Cleese... it of course is good humoured and funny as well. 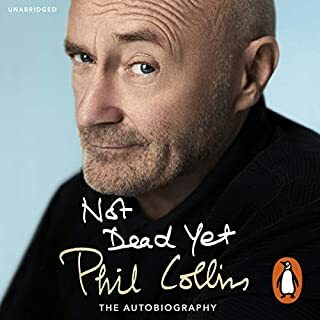 Remember this is an Autobiography not a set of Monty python sketches. Having Cleese read it makes this book very funny. Even he thought so a few times, cus he would start laughing while reading. A major benefit of listening to a comedian's autobiography as read by himself: Timing! And original clips of Cleese and Chapman, of course. Time flew by in the blink of an eye. John Cleese a ever is entertaining and honest, it was a pleasure to listen. Thank you. Loved it. Outstanding performance and superbly delivered. The recall of stories and feelings mingeld with Mr Cheese warmth and timing is as good as any I've listened to. An insight into mad genius. If I had known this book was only about Cleese's first 30 years, I would not have bought it (caveat emptor!). That initial mistake acknowledged, it's seldom I stick to a book if I am not being informed or entertained, but I managed to finish all 13+ hours of this one simply because I couldn't believe that, with such an intelligent and brilliant author, it wouldn't improve. Sadly, it did not. Cleese's school and university years take up the first half of the book and they were no more interesting than mine. Even when he gets onto the stage, there is too much about writing and production and performance analysis and not terribly interesting anecdotes about other artists - all deadly dull unless, perhaps, you are an aspiring actor or theatre historian. 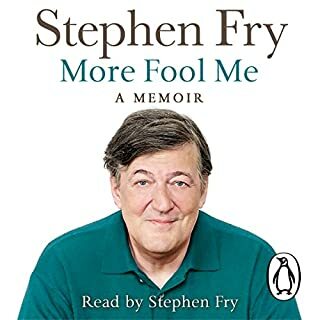 The book is only slightly redeemed from Chapter 11 with the inclusion of a few sections from Cleese's best known skits. Overall the material is mundane, the writing pedestrian, and the tone uninspiring. 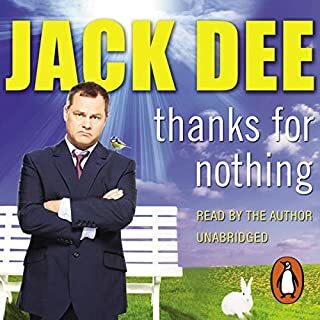 This is one of the best audiobooks I have ever listened to, mainly due to John Cleese spectacular performance as a reader. You almost feel as if you are there with him. It's hilarious, it's interesting and it's what you want from this kind of book. So, anyway enjoy the book.